A positive reaction to our Data Hub and Spotlight on Uganda was received, with emphasis on continued engagement. 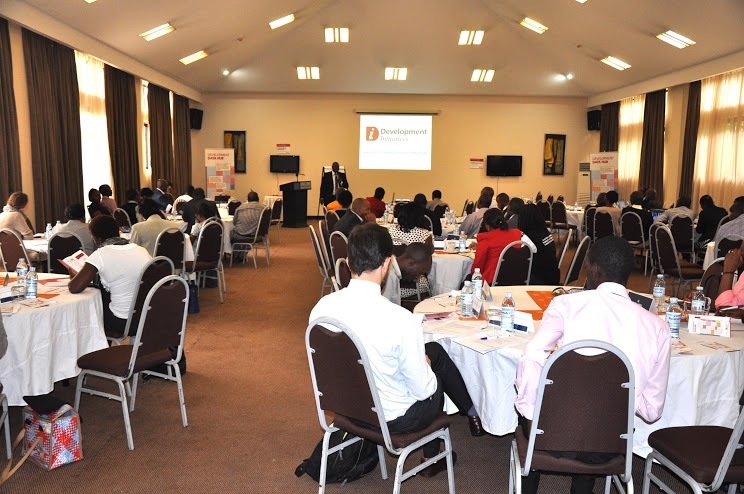 Development Initiatives (DI) was pleased to launch the Development Data Hub, alongside a preview of the ‘Spotlight on Uganda’, on Thursday 2 July at Protea Hotel, Kampala. We hosted more than 80 participants from different organisations ranging from civil society organisations, academia, government agencies, politicians and development partners. The launch event created a platform for discourse around issues of sustainable development, poverty eradication and the role of quality data. Here, we summarise some of the discussions. In setting the tone for the discussion, Davis Adieno (Capacity Development Manager, DI Africa Hub) pointed out that the Development Data Hub fits within a broader DI agenda on improving access to information in the fight against poverty. In addition, Charles Lwanga-Ntale (DI Regional Director, East & Central Africa) emphasised the need to unbundle the statistics (an attribute the data hub provides) because many questions and details do not come across when looking at the figures without context. As global consensus is attained on the Sustainable Development Agenda (which is already reflected in Uganda’s recently launched second National Development Plan), it was widely acknowledged at the launch that availability of quality data is central to the realisation of the associated goals as well as eradication of poverty. Timely and reliable statistics are what quality data is made of, a phenomenon emphasised by Bright Kimuli, Senior Statistician at the Uganda Bureau of Statistics (UBoS). In presenting the views from UBoS he emphasised the need for standards (international and national) in order to attain consistence and comparability across years and contexts. The Development Data Hub was presented with a specific focus on Uganda, clearly showing what it can do and how it can be used. In addition to introducing the current aspects and visualisations of the Data Hub (including the global picture, unbundling of aid and Uganda country profiles), a preview of the Spotlight on Uganda was showcased. 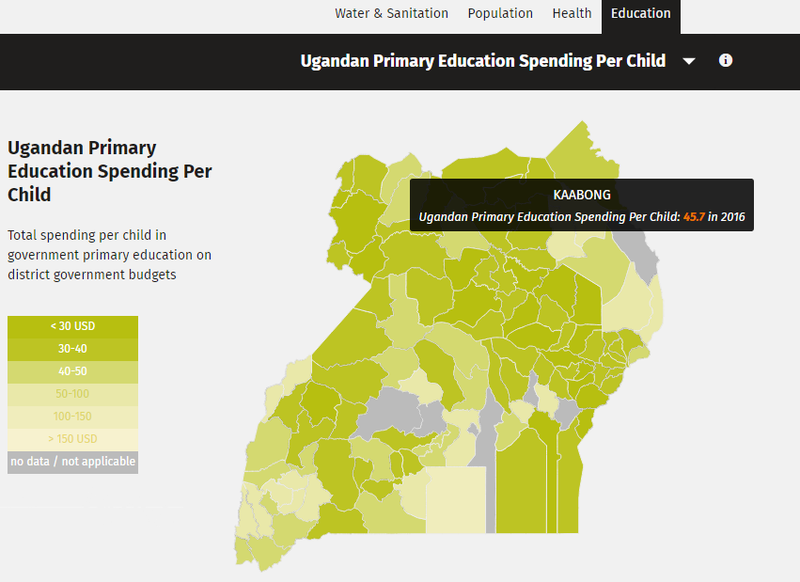 This forthcoming feature will provide details of government finance, demographics, population, poverty statistics and outcome performances in education and health at the district level in Uganda. The Development Data Hub was then officially launched by Dr Abel Rwendeire, the Deputy Chairperson of the National Planning Authority (NPA), who emphasized the need for further appreciation of data, identifying where the gaps are and how they can be filled. He was particularly enthusiastic about the Spotlight on Uganda and its potential use for decision making within the government. The event concluded with different aspects of the Development Data Hub being showcased on screens throughout in the room, which proved a very popular avenue to answer specific questions that participants had with regards to the data (sources, authenticity and validity, among others). Feedback received from participants at the launch event was very positive, with the majority of participants considering the Data Hub to be either relevant or extremely relevant to their work. All expressed high demand for all forms of data held within the Data Hub. Many respondents expressed interest in more information on Uganda being introduced to the Data Hub, particularly within the areas of agriculture, mortality and gender, with a key interest in subnational disaggregations. There was a also a call from many participants across all forms of stakeholders for a closer working relationship with Development Initiatives. These partnerships will be cultivated through continued engagement over the short and medium term. The significance of quality data as well as its availability continues to grow, making the Data Hub’s comprehensive and visual nature very appealing to all the Ugandan audience and beyond. Feedback received suggested that the Spotlight on Uganda in particular will be a great empowerment tool for data users and producers in Uganda.